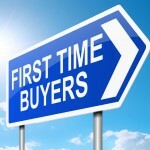 There’s usually only one thing getting in the way of first time buyers getting on the property ladder – a deposit. Banks aren’t risking their money like they used to, so they require at least 5% of the cost of the property as a down payment first. 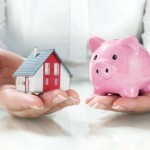 If you want the best interest rates, you have to be able to put down a significant deposit; averagely around 10%. Saving 10% as a deposit can seem like an impossible task, and many people think about it and give up before starting. If you’re determined to save your deposit, here’s what you need to do. Before you start saving, you’ll need to know how much you need to save first. 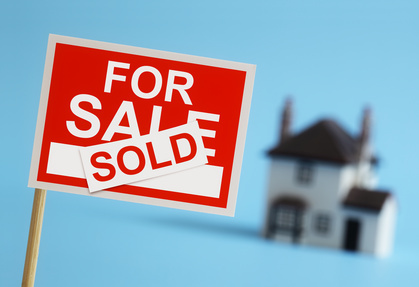 A financial advisor will be able to tell you what sort of mortgage you’re likely to be accepted for. From that, you’ll be able to figure out what kind of deposit you’ll need. 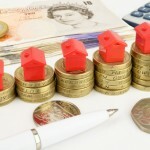 For example, a lender may be willing to give you £100,000 with a 10% deposit of £10,000. Once you have a goal in your mind, you’ll be able to make a plan to reach it. 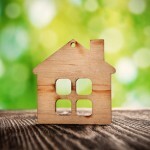 People tend to forget that you need more than a house deposit to get into your new home. You’ll need to hire solicitors to exchange contracts for you and you’ll have to pay those solicitors a fee. 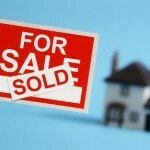 You’ll also have to find out if you need to pay stamp duty. When you move in, you may need to hire moving vans and your mortgage may come with the condition that you purchase home insurance. You can find out about these kinds of fees by asking a reputable solicitor from The Good Solicitor Guide. Saving a significant amount of money is hard work, so you need to stop spending as much as you can. If you’re renting a property, you may want to consider having a roommate to half the cost of your rent. If it’s possible to move back in with your parents for a short period of time rent free, you could save a great deal of money in a short time. 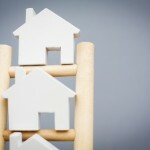 Another way to save on rent is to move to a cheaper property, perhaps in a cheaper area. It may sound insignificant but how much do you think you’re spending on lunch every day? Once you add up the cost of a cup of coffee in the morning, snacks throughout the day and shop bought lunches, Monday to Friday, it’s a lot of money you could have saved. Start making your own lunch and taking your own snacks to work. Save the money you would have spent on shop lunches and you should start to see it mount up. It may sound like a cruel way to save money but a social life can be expensive. Take a Saturday night for example: you may buy a new outfit, you may buy a few drinks, you may have to pay for entry into clubs and you may need some sobering up food on the way home. Even if you’re only doing that four times a month, that’s a lot of money you could potentially save. Cut it down to twice a month or find cheaper alternatives to spend time with friends. Shopping can be a hard habit to kick. Fortunately, there is a way you can still shop and save money at the same time. Firstly, if you have any clothes that you’re fed up with but are still in good condition, try selling them. Secondly, leave your designers alone and start shopping at charity shops or cheaper stores. For instance, have you tried Everything 5 Pounds? You don’t have to give up style and you don’t have to pay much. It’s easier said than done but it’s worth a shot. You have spare time in the evenings or on the weekends you may want to think about getting a second job. You could do anything from delivering pizza to working online selling beauty products for a catalogue. If your current job isn’t paying you enough and you know you’re capable of earning more, it may be time to start looking for a new job. Saving a significant amount of money can seem like a mammoth task, and there will be times where you want to pack it all in. Stick with it because it’s all worth it on moving day!